Hello Friends, I hope all is well. I always like to do something special and different with my gift wrapping , especially for Christmas. I love when I give a gift to someone and they take the time to admirer the wrapping , almost as if they don’t want to open it. As I was thinking about this I thought why not compile my top 10 DIY Holiday gift wrapping ideas to inspire your gift wrapping this year. I hope you find it helpful. How cute is this? A great way to give out your family photos, and it can doubles as Christmas Greeting Cards. Get this adorable printable here. This is a fun way to personalize your gifts, great idea from craftionary . Not to mention it makes sorting and handing out gifts a breeze! Burlap will never go out of style… This is a great way to get that country chic look that we all love! This is the perfect way to girly up the gift wrapping. You could change the ribbon color based on who your gift is for. Polka dots, pearls, feathers, and ribbon,whats not yo love. I found this beauty on a blog called A Gift Wrapped Life. I love the vintage feel of this gift wrap, and the feather and pearls gives it a luxurious feel. Fabulous! We all love getting those homemade baked goods for the holidays! This is a simple way to make those plain containers into festive ones. All you need is scrapbook paper, double sided tape, scissors, and ribbon! If you’re struggling to figure out what to wrap up, my friend suggested that I get a watch and it worked so well they loved it! WatchShopping (https://www.watchshopping.com/omega/) was the website he recommended to me! Their selection was great! 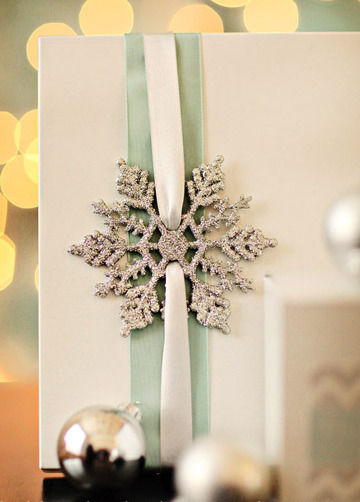 We’d love to know what you think about these Gift Wrapping Ideas? Share your favorite gift wrap below. For help with your home or room design please contact me at design@modinteriorsonline.com Follow MOD INTERIORS on Pinterest and Facebook.